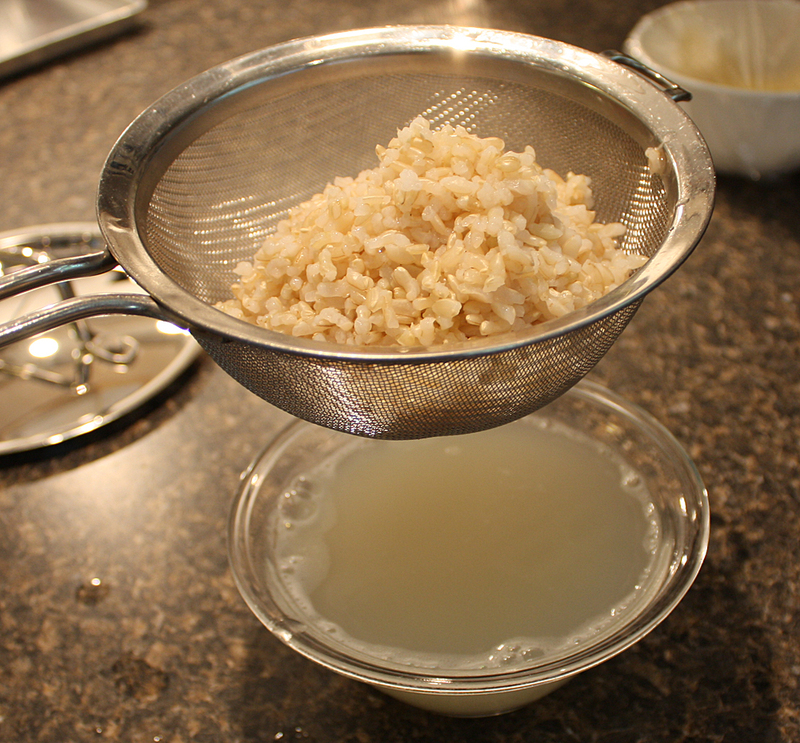 Soaking uncooked rice for several hours before cooking, cooking like pasta (using a ratio of at least 6 cups water to 1 cup rice), and draining excess water afterward, can remove about 30% of inorganic arsenic. Here’s my picture post on how to cook rice with lots of water like pasta. Participants diagnosed with T2D were randomly assigned to follow either a vegan diet (excluding animal-based food including fish; n = 46) or a conventional diet recommended by the Korean Diabetes Association 2011 (n = 47) for 12 weeks. Conclusion: Both diets led to reductions in HbA1c levels; however, glycemic control was better with the vegan diet than with the conventional diet. Participants filled out daily dietary records for the whole 12 weeks to measure compliance. The vegan diet group had no restrictions on calorie intake, conventional group did. Not only did those in the vegan group (who were eating more carbs) lower their HbA1c and fasting blood glucose but they lost more weight and reduced their waist circumference compared to the conventional group. (The researchers adjusted for these and still found a benefit for the vegan diet. It wasn’t just that they lost weight.) These results are not unlike what Barnard found in 2006 when he compared a vegan diet to the American Diabetes Association’s recommended diet. In addition, both epidemiological and experimental evidence has suggested that the chronic exposure to chemicals such as persistent organic pollutants (POPs) may disturb glucose and lipid metabolism . As fatty animal foods, including fish, are the main sources of exposure to POPs , the use of a vegan diet that excludes any animal foods could also be beneficial in terms of avoiding POP exposure. Another explanation may involve the reduced exposure to POPs by vegan diets through the prohibition of animal food. Recently, background exposure to low-dose POPs has been found to be an important risk factor of developing T2D . Furthermore, these chemicals are associated with poor glycemic control among T2D patients , and with an increased risk of cardiovascular diseases [25, 26], which are the most common complications of T2D. Hence, avoiding animal food contaminated with POPs may offer additional benefit for T2D patients. I’ve been saying for years now … it probably isn’t just the animal fat but also the industrial chemicals that are dissolved in the animal fat that are fueling obesity and diabetes epidemics. This entry was posted in Uncategorized on June 12, 2016 by Bix. A good and encouraging study, and thank you for all the links! I wonder, if you base your whole diet on rice of any kind (with additions of course), you’re setting yourself up for any arsenic problems???? Chicken is much higher in arsenic than rice, as are eggs. Seafood is also very high in arsenic. Beer and wine have a lot of arsenic. People who eat these foods are more likely to have higher arsenic levels than people who just eat rice. Organic food can be higher in arsenic because poultry litter is used as a fertilizer.